The Renegades are built of a team of blind players and sighted volunteers. One thing that makes beepball somewhat unique is the fact the coaching staff acts as both coaches and part of the team. Our sighted help teaches strategy, implements game plans and teaches fundamentals. The sighted help also contributes on the field. Offensively sighted coaches pitch and a catch, acting as a team to help the player hit the ball. Defensively, we have sighted help on the field to help position players and call zones when the ball is put into play, these people are called spotters. The Renegades view the players and coaches as one team. Devenish graduated Westfield State with a degree in physical education in 2014. He had extensive experience playing sports in High School with his vision loss against sighted opponents. He was a three year tight end in High School for his football team. He also ran track where his events included the 4×100 relay, 800 yard dash, shot put and discuss. He found the Renegades doing a google search looking for activities to participate in as an adult with vision loss. He helped get the Renegades to its first ever National title game in 2016, his rookie year. 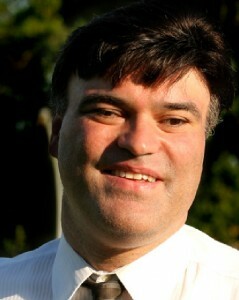 He currently works as a physical education teacher in his hometown of Salisbury, Mass. Imagine shopping at a mall and having someone come up to you to talk about Beep baseball. Thats how we recruited Rob Dias from Somerville. Coach Bryan Grillo saw a star in his eyes and just went up and started a conversation. Rob had seen us play in 2007 and was interested. He was the captain of his wrestling team in High School and understands what competition and leadership is all about. 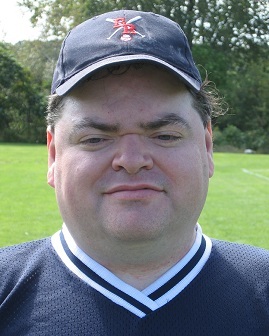 When he is not playing beep baseball, Rob works for the Massachusetts office on disability as an advocate for people with disabilities. Rob does not like to smile in his photos. It’s a start to his intimidation…but the real fear he strikes into his opponents are the bombs leaving his bat. Rob’s first hit was memorable as it was taken away for a safety concern but that set up his first official run as a walk off hit against the PA Wolfpack. Defensively, Rob Set a Renegade rookie record in the field in 2014 as he made 20 defensive stops. This record had stood since the 2002 season. We call him the “L-Train”. This Train started with the team in 2006 and at that time had never swung a bat in his life. He worked hard and has become the leading scorer in Renegade history with more than 300 runs to his name. Larry has a love for public transportation. He travels the world on his own. Riding trains in different countries is something he enjoys. In a former role working with the MBTA, he helped introduce accessibility options into the existing process. He also has extensive experience helping with mobility training. Those skills have paid big dividends on the Renegades because he often helps orientate his teammates when they arrive to a new hotel or city. Originally from the DC area where he ran track in a school for the blind, Larry calls Brookline his home. Many recognize Larry as one of key players on the team to keep the team energy alive with his love of leading team cheers. 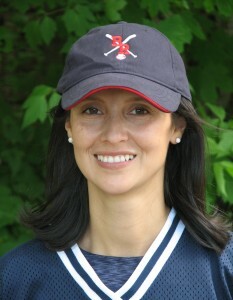 Hoyt picked up a bat in spring, 2007 and became the second female player in Renegade history to play in tournament competition. Since then she has become the longest tenured female Renegade player in team history. As a child, she played soccer and basketball until her vision loss seemed to put an end to her participation in team sports. “As a kid I was an avid sports fan, following football, basketball and baseball, wishing at times I could be on a team again.” That wish became a reality when she found the Renegades. For Melissa, she is often limited in what she can do physically as she battles Mitochondrial disease. She may not be abl to run the bases as often as she wants or even practice as hard as she desires, but sh does not let that stop her. She does what she can and has the full support of the team. One of her career highlights was throwing out the first pitch at Fenway park with her team standing behind her on the Fenway infield in 2017. 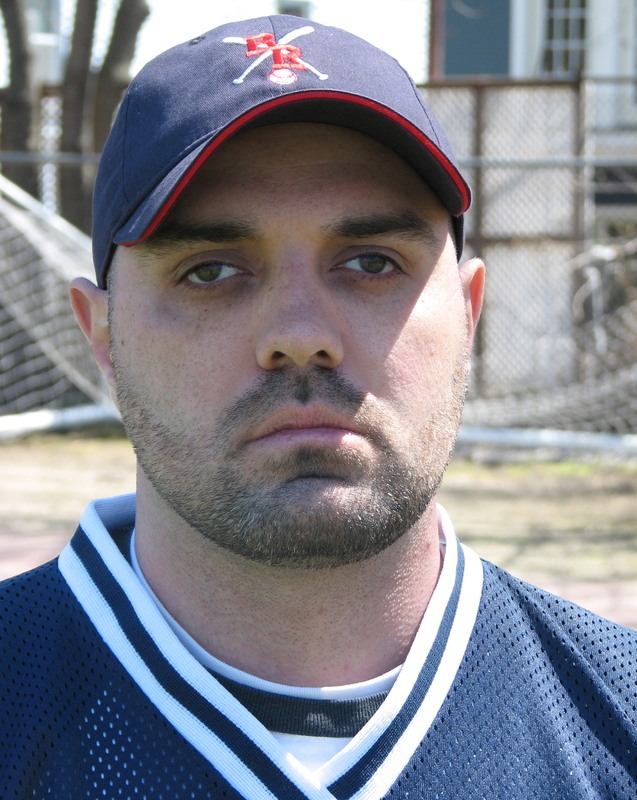 In 2012, Joe McCormick became a Renegade and in that season was one of six players on the squad with the name Joe. None of those Joe’s were average and this Joe was no exception. McCormick lost his sight during his senior year in high school and never let that slow him down. Without missing a beat, he went on to graduate with a degree in computer science from Harvard University in 2014. In his rookie campaign, McCormick set a Renegade record by scoring the most runs in team history as a rookie (34). Two years later he became just the second Renegade to make the World Series All-star team hitting .600. 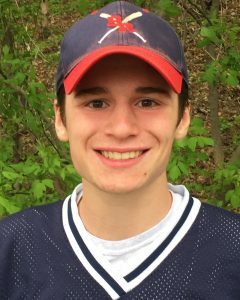 Joe Mac is a leader both on and off the field with his work ethic, his knack to convince his friends to join the coaching staff, his ability to fundraise and his competitive desire to make the Renegades one of the top teams in the world. Justen had never played team sports in his life. In 2009, he decided to come with his brother to check out the Renegades and was encouraged to join the team. By the 2011 season he quickly had become one of the leagues best defensive players earning a World Series all star award. Just as he was setting team records for most defensive stops in a season (77 stops), he had finished his MBA and took a job back in his home of Hawaii. In 2016, his career brought him back to New England and to the Renegades. It was no coincidence that his return was paired with the Renegades making its first ever NBBA championship game as his defensive prowess was on hand again. Off the field, Justen is a big part of the team working to help arrange most of the travel arrangements. His love of travel comes in handy when we need to nook flights for the Various World Series locations. Joe Quintanilla is one of the original Renegades who started the team and played in its infancy before the team made its first league appearance at the 2002 World Series. Joe was an avid baseball fan growing up but never had the sight to play little league. He eventually would turn his attention to running where he eventually would make the USA Paralympic squad as a Marathon runner where he competed in the 1996 games in Atlanta. Q’s love of running and hard work earned him a spot in the Cambridge Athletic Hall of Fame. On the field for the Renegades he was the leading hitter on the team for years. He currently holds record for most games played and most at bats in team history. 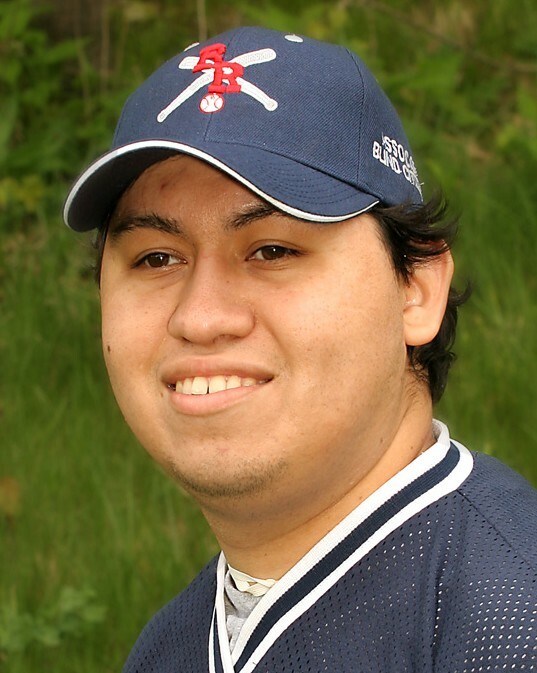 Off the field, Quintanilla’s passion for sports has helped shape the team culture as he has helped lead countless fundraising efforts. Professionally, Quintanilla works to fundraise for the National Braille Press. 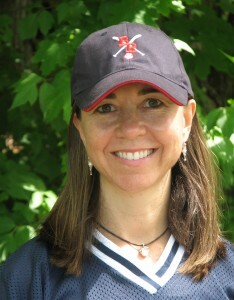 Daisy Russell became just the sixth female to play in a game for the Boston Renegades in history. She actually got interested in the team through her experience playing goalball for the vi-stars, a high school goalball team in which she helped get started. 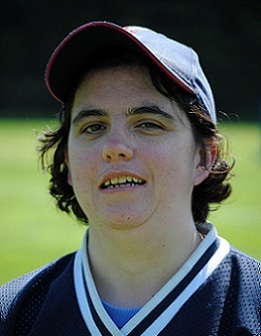 During her experience there, she played for Kara Peters who was double dipping as a goalball and a beep baseball coach. She also spent some time interning at National Braille Press with Joe Quintanilla. These Renegade connections got her down to practice with the team late in 2017 and really sparked her interest. Daisy plans to graduate Boston University in 2019 and is hoping to be a teacher to help people with visual impairments. Aqil joined the Renegades in 2010 as the 7th person on the active roster with an advanced degree as he is getting his PHD in Physics from Harvard University. 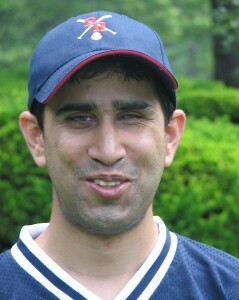 He has a unique perspective of the game as he played cricket before losing his sight in Pakistan. Combine his analytical mind with his love for the game and he never gets cheated on one of his swings. 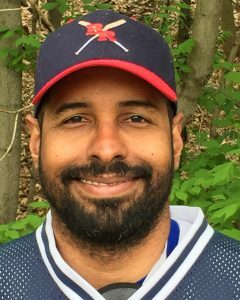 Aqil is one of the most improved players on the renegades team over the past few years and he currently ranks as one of the hardest players on the team to strike out as he has put 80.8% of his balls into play for 4th all time of any Renegade in their career and his stats have improved each year in this category. 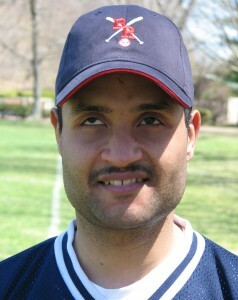 Aqil was the only Renegade to play in all 30 games in the 2011-2012 seasons. and over the past three years leads all Renegades by playing in 45 games. His career highlight was a walk off win over New Jersey at the Long Island Classic in 2013…a thrill he will never forget. David moved to Worcester in the winter of 2018 and through a google search found the Renegades. Originally from Puerto Rico, he later moved to North Carolina. 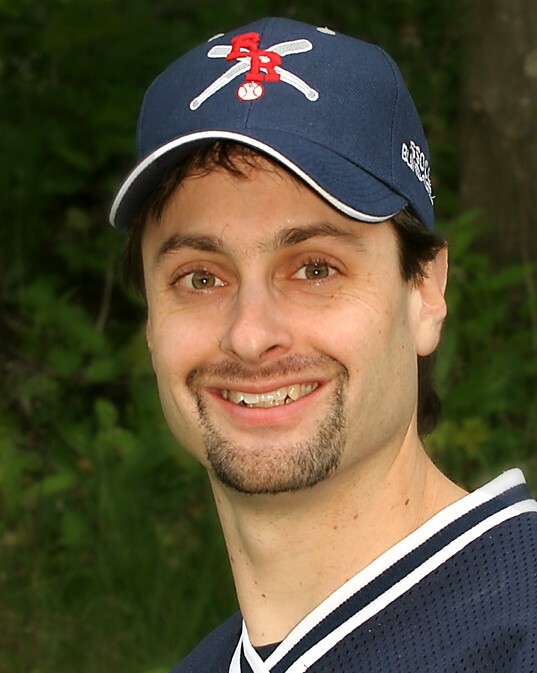 David has been an avid baseball fan for his whole life loves to play this sport after he was deemed legally blind with RP in 2008. Sanchez is the second ever Renegade with military background as he was a Sergeant for the 82nd Airborne Division in the army. Anyone who can jump out of an airplane can quickly adopt to putting on a blindfold and running to the bases at top speed. 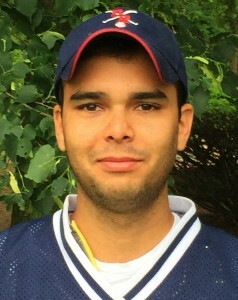 Luis Soto is another player of foreign descent for the Renegades. Born in Venezuela and raised in the Dominican Republic, he now calls Boston his home. Luis found the Renegades from his classmate, Damon Graff, as the two of them were studying to be massage therapists at the time. Luis finds great joy from being part of the team. Playing for the Renegades has given him confidence that has helped him in many facets of his life including improving his home and employment situations. In 2018, he gained further confidence when he may have become the first blind beep baseball player to live broadcast a game on Facebook live in Spanish. While playing baseball for Redlands Community College, Thaxton began to notice that he was struggling to see the inside pitch. This was a pitch he normally crushed. After seeing the eye doctor, he discovered he was going to lose his sight. A short time after trying to figure things out, he decided to come to Boston to learn skills to help him cope with his vision loss. His journey took him to the Carroll Center for the Blind. There he began to start his new life without sports on his radar. He never heard of beep baseball and found our team at an event at the Carroll Center and decided to come try it out. One of his favorite feelings was the feeling of a ball hitting his bat. He made contact quickly and often in his first batting practice as a blind man. Thaxton had the bug. He signed on to play with the Renegades before he had even decided to stay in Boston. In 2017, Thaxton finished his degree, but from UMASS Amherst. He also set a league record for the highest batting average in league history hitting .897 at the World Series in West Palm Beach, Florida. Cooperstown came calling and to honor his accomplishment, put his bat on display in the National Baseball Hall of Fame. 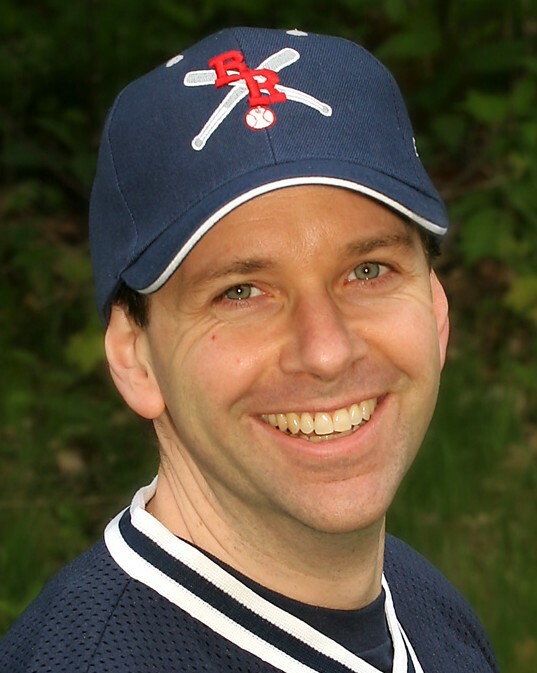 Rob’s doctors said he would never play sports…that is until he found the Boston Renegades in 2011. An avid sports fan, Thayer was happy to be part of a team. Competition, teamwork and losing weight were some of his goals when he joined the Renegades. The weight loss was not only important to feel better, he wanted to shed pounds to help him lose his diabetes. In his time with the Renegades he has been able to lose close to 70 pounds and keep the weight off. At first, Thayer was one of the quietest players on the roster but once he got comfortable, he became a force. Many consider him one of the best teammates on the roster always offering words of encouragement and bear hugs to his coaches and players during games. He earned the nickname “Hot Tub” when he first discovered the joys of this hot bubbly sensation while attending the World Series in Minnesota in 2014. While there, he would wake up at 5am to sit in the tub before games. Thayer became the President if his Lions club in Brockton in 2018 and is always looking for ways to help people. 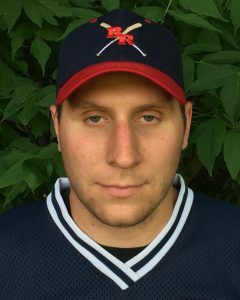 In 2014, he became the 7th player named Joe to play in a game for the Renegades. Joe’s experience with team sports was as a blind wrestler in high school. As an adult, he enjoyed cross country skiing but never had much time for recreation. Instead, Joe put his energy into his career. He taught himself computers and focused on building his career. That career lasted a long time at the Harvard Management Company as part of their IT department. In 2013, on a recruiting spree, we finally convinced Dino Vasile (a Renegade at the time) to ask Joe to come give the sport a try. Timing was just right as Joe wanted to put more work life balance into play. On the field, Joe has had a lot of success on both sides of the ball in a short time. 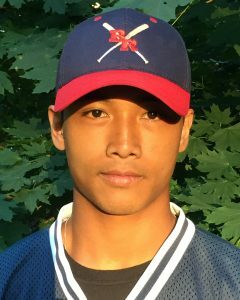 His wrestling background has made him tough as he has battled through some injuries in his time with the team, most notably getting hit in the head twice in an inning while playing defense against the defending champs, Indy Thunder in 2017. That did not stop him. In 2018, he put that behind him and raised his batting average nearly .303 points above his career average when he hit .586 in a season. Yee accomplished this with the help of his cousin, Peter Connolly who he convinced to join the team. They became the second family members in team history to score a run off each other in competition. Guy was one of the original players from the 2002 squad. 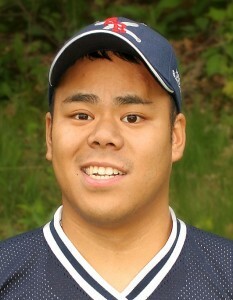 He left the team to parent a baby after the first season of play and returned in 2005. Pound for pound Guy may be one of the most dangerous players in the league on both sides of the ball. On defense Guy has been named to two All star teams at the World Series including being named the MVP on defense in 2012 in Columbus, Georgia. He is also the Renegades all-time leader in defensive stops. Off the field, Guy is in charge of helping recruit new players and coaches. He helps organize events and talks to anyone who wants to learn more about the sport and the team. Guy has an amazing memory and can tell many stories about how the team has grown from what he calls the “dead ball era” of the 2002 team into what it has become today. 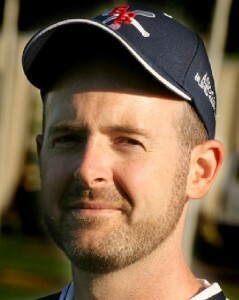 John is the man behind the Renegades. You may not see him on the field or hear him in team meetings, but his influence is everywhere. John met Coach Weissman in 2000 and the two had a vision to create a competitive beepball league in the Boston area. That vision may have been tweaked over time, but the Association of Blind Citizens found a way to fund the Boston Renegades Beepball program. 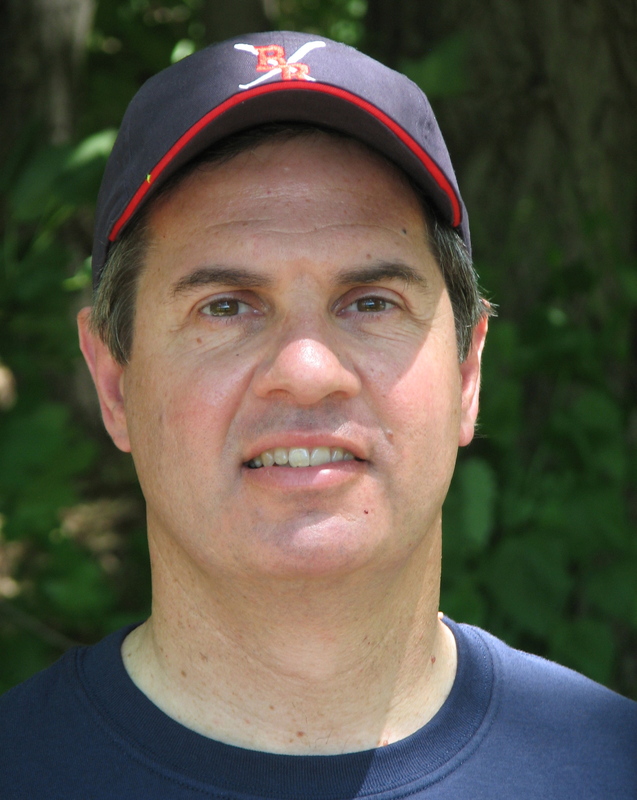 John helped get the team started in 2000 and coached them in their first World Series in 2002. In 2003, he moved “upstairs” and left the coaching duties to new coach Rob Weissman. Oliveira’s passion to promote programs for visually impaired people has been the number one reason the Boston Renegades exist as a team. 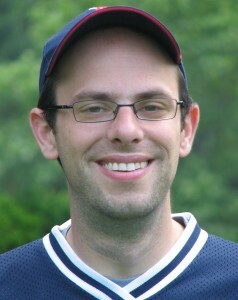 Weissman helped start Beepball as a competitive sport in the Boston area. 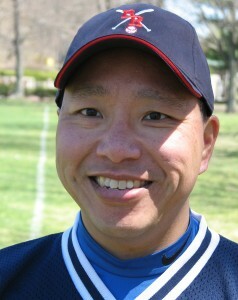 He got his start as the head coach of the Lowell LAB Retrievers in 2000. 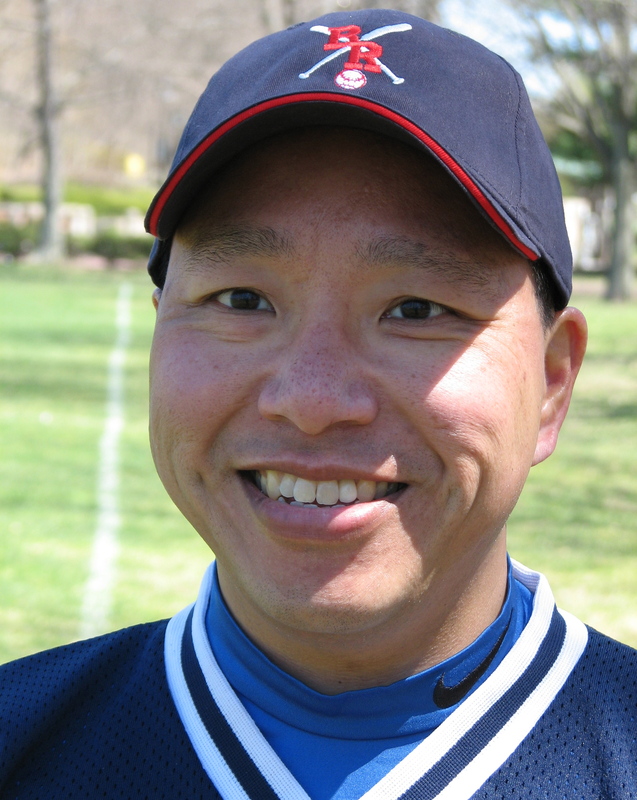 In 2003, he returned to the coaching ranks as the head coach of the Boston Renegades. He brings a unique style to the team where he is heavily involved in every aspect of the game as a hands on vocal coach. Those vocal chords get a work out during the season as he is known to lose his voice during tournaments yelling words of encouragement and barking out strategy. He may be the only head coach who catches during the game, which helps him keep a unique perspective. In his coaching career he has caught for over 3500 at bats and pitched to 20 batters. This means he has not been involved in a pitcher catcher battery in just 2 at bats since 2003. On a cold April Rainy night at Fenway, Peg got up from her grand stand seat and was walking around the concourse when she stumbled across a table with a few blind guys. Curiosity brought her to the table and after talking to a few people she was interested in learning more about beep baseball. That interest turned into a volunteer coaching position. 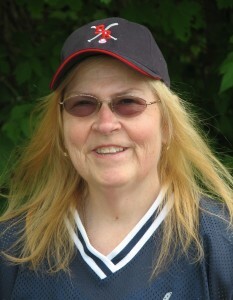 Peg has a deep background in softball. She walked on to her college softball team as a 37 year old freshman pitcher at Salem State. She also currently still pitches in a modified fast pitch league. Beyond that, she has coaching experience in softball and is a Licensed Practical Nurse (LPN). These skills will prove useful as she learns both the offensive and defensive sides of the sport. We are excited that night at Fenway was cold, or we may never had met her. 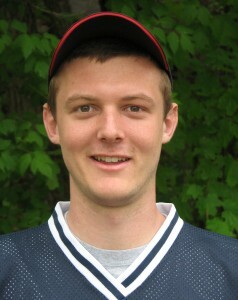 Joe Bourque joined the Renegades in 2013 while he was still attending Boston College. After graduation, he left the area but never lost touch with the team. Even though he was not actively on the roster, he did attend some games in 2016 and never lost interest in the game. He vowed to return. In 2017, his career path takes him back into the Boston area and before he has even started his first day, he has voiced his pleasure that he is planning to be back with the team. Hailing from Wakefield, Bourque, a two-time marathoner, grew up playing baseball, basketball, hockey and football throughout his childhood and continued in running track during his high school years. Bourque found out about the Renegades through his close friend and current Renegade player, Joe McCormick. While with the team in is first two seasons. 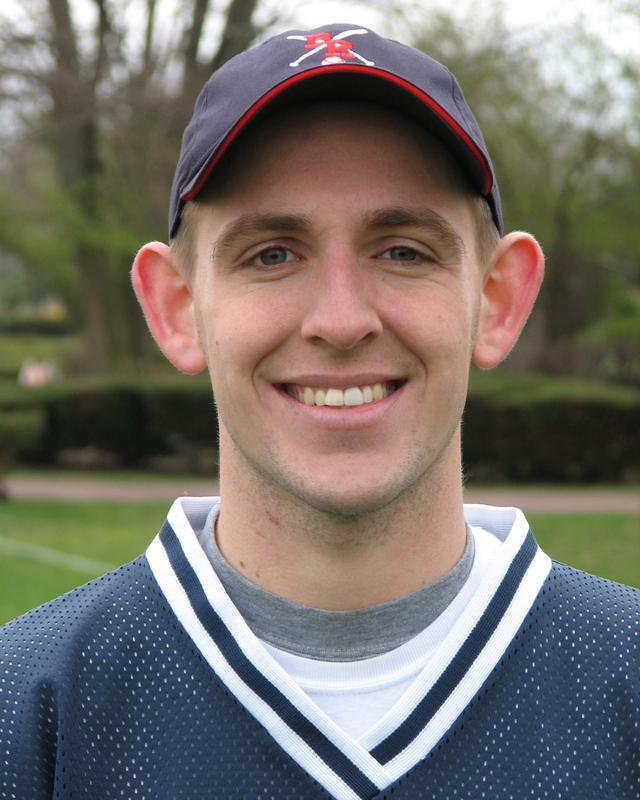 Joe played many roles from helping with running practices, getting paperwork, keeping stats, shooting video, catching, hitting grounders, running drills. He also was part of the coaching staff that attended the 2014 World Series. With his knowledge of the game, his role will be expanded with the team. 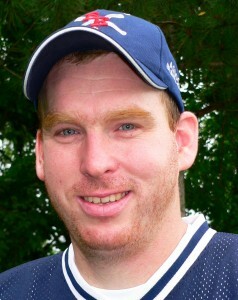 Peter joins the Renegade after the start of the 2016 season and he is quickly picking up the sport. Peter has seen the Renegades play games in Long Island and in Woburn and is familiar with the intensity of the sport. In team history, he becomes just the 3rd volunteer (and only active volunteer) who is related to a player. He is Joe Yee’s younger cousin. Peter is part of the Renegade volunteer staff youth movement as he is in his mid-twenties. 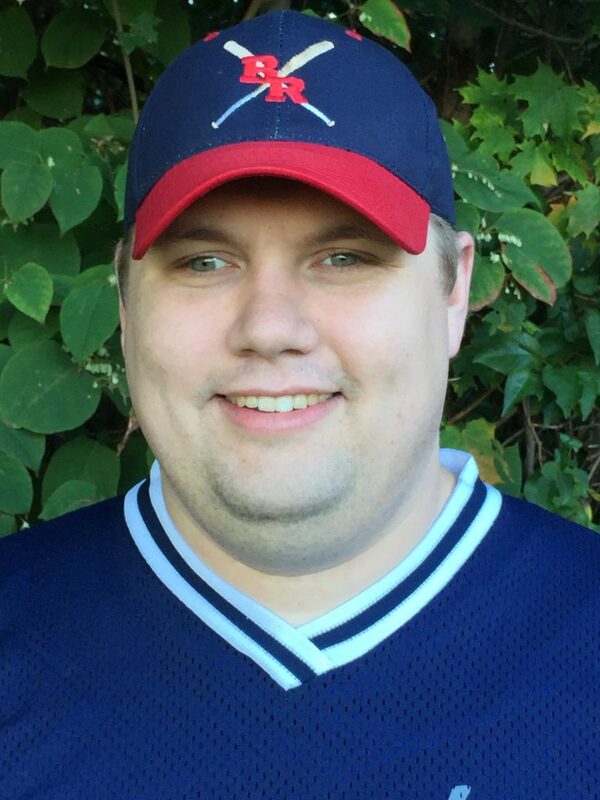 During the work week, he is an actuary for John Hancock but for the Renegades he wields a big bat. That big bat is needed as we want ground balls to be “smoked” to help us prepare for the World Series. Watch out, he has an interest in pitching as well and could become our 4th Active pitcher! Jamie will joint the Renegades in 2014 as another volunteer from Harvard University. Jamie found us through Renegade Joe McCormick and has been friends with other coaches Joe Bourque and Sean Sweeney since middle school. 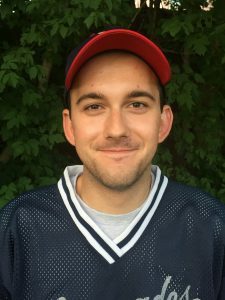 An avid Ultimate Frisbee player, Jamie brings a competitive spirt to the team and a desire to do something that is rare in our volunteers…Pitch! 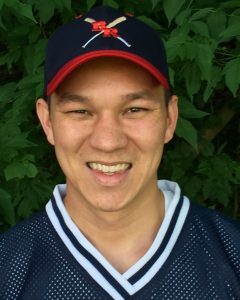 We have high hopes that we can bring Jamie along as a pitcher and catcher in his first year to help the team in this space where we have been looking for new pitchers for years. You can never have enough brave people on a beep ball team to pitch. This no fear attitude and willingness to get into the game gives us high hopes we have found yet another gem of young volunteers looking to help lead this team into the future! Max joined the Renegades weeks before the games began in 2016 and has fallen in love with the sport. He first heard about the Renegades and Beep baseball at a SABR metrics conference where one of our coaches was discussing the statistics of the sport. Max kept this in his mind since last fall and joined us guns ablaze! He is one of the youngest coaches on the roster and is part of a new wave of 20 something coaches who have found us in the past few years. Max is putting his stats background to use and has helped us score games, work base running and defensive drills. We hope to expand his role in the 2017 season and may even have him analyze baseball swing statistics…You never know what this clipboard carrying team can come up with to improve our game! 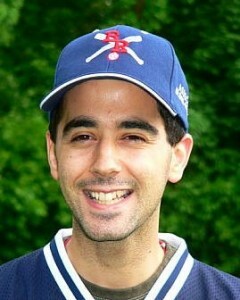 Grillo gets his beepball roots from coaching with the Lowell LAB Retrievers in 2000 with Rob Weissman. While in Lowell, he was often found wearing a blindfold and playing the game as player. The perspective of being a player has helped him to lead the team in the field. Grillo is the Renegades Caller. When there is a ball put into play you will hear Bryan yelling out signals to the players to help them zone in on the ball. Grillo has been the Renegades sole caller in a single caller system in 80 of 82 games since he joined the team in 2003. Since the team has moved to a dual calling system, Grillo has called more games (31) than anyone else. Historically, he was on the field to help Darren Black (2) and Guy Zuccarello (2) earn their World Series All- Star awards. Brandon found about Beep baseball from one of his Stonehill baseball teammates, Robert Minton. 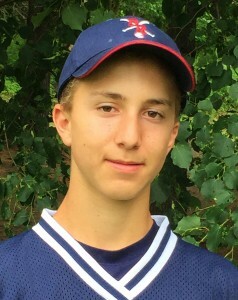 He joined the team in late May, 2018 and has quickly fallen in love with the game. 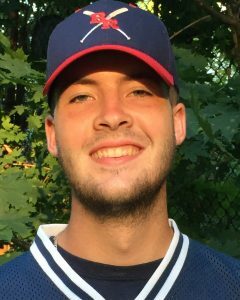 Jewer is a pitcher at Stonehill who can bring it with a fastball that clocks in over 90 MPH. This billerica resident is also bringing it on the beepball field, but with his bat. Brandon is learning the defensive side of the game and this six foot four pitcher can hit the ball harder than most players in the league. That will be great practice for a Renegade defense that is prepping to field bombs off the bats of the best teams in the world. Gina officially joined the squad in 2018 after sitting on the sidelines as a fan in 2016 & 2017. Gina resides in Salisbury, Ma with her fiancee, Shawn Devenish who plays with the squad. Her experience as a teaching assistant and time running track, playing field hockey and watching the Renegades practice for the past 2 years will help make her a valuable asset to the team. 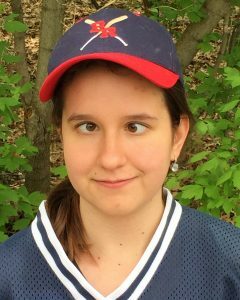 Gina likes the fact the Renegades help blind and visually impaired people be part of a team while having a reason to stay in shape and stay active. 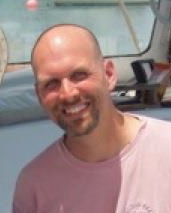 Jason “Ace” Lenicheck has more coaching experience than the entire Renegade staff, with years of coaching girls soccer. 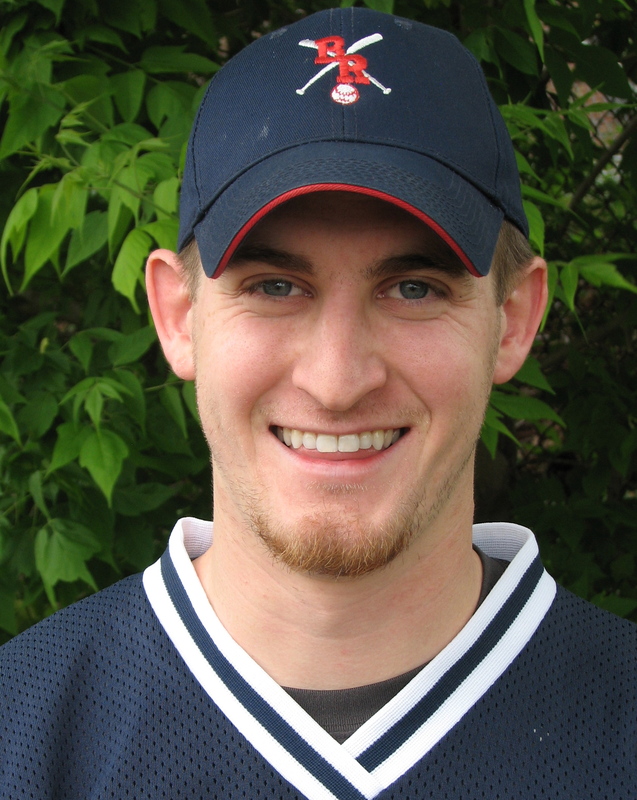 In 2004, Ace joined the coaching ranks to help the Renegades with their hitting. Back in his playing days he was known as an all hit no field 3rd baseman for Acton Boxboro High School. The combination of his hitting and coaching skills quickly have made him an impact coach on the staff. In 2011, he was pressed into learning the defense and asked to call. Taking his skills of playing 3rd base, he called the left side of the defense for 5 games in 2011 leading the defense to 4 wins. He has called at the World Series, Chicago and in the Beast of the East and helped the team to a 9-5 record as a substitute spotter! His do it all mentality has helped the Renegades improve their on field success. Jason was interviewed in the fourth podcast of “The Renegade Report”, which can be heard on SoundCloud. Media plays an important role in connecting people and that was the case for Mike. He found about us through an article on our documentary that was in the Boston Globe. Mike has some personal ties to the team on a few levels. Athletically he loves baseball and has played and coached it at different levels. Personally has been diagnosed with Stargardt’s disease which impacts his central vision. Professionally he trained at Spaulding Rehab and is currently a doctor of Physiatry which focuses on treating pain and restoring maximum function lost through injury. Mixing all of the above together and we have the ingredients and a recipe for a coach who we hope will help us as much as we can help him. 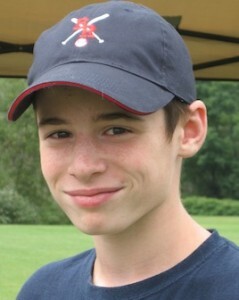 Patrick has a personal interest in web design and had been sitting near Rob Weissman at Work at IBM for a few years. With Rob’s super novice web design knowledge, Patrick was able to help him through a few sticky points over the years. In 2012, Patrick and Rob got to talking about the organization’s desire to move the site to WordPress. The lucky thing here was Patrick’s technical curiosity was steering him to learn WordPress and a partnership was formed. Patrick redesigned the entire Renegade web site to be hosted on a WordPress site. This redesign was his first major project in this realm and was a success. He made it easier for the team to update the web site, link it to social media and we have many more things planned now that its easier to maintain. You may not see Patrick on the field, but this improved web presence has helped us reach many people across the globe with more up to date content about our great sport and team. Fabricio found out about beep ball from his brother in law, Rob Weissman and in 2015 he decided that he wanted to get active and be part of a team again. 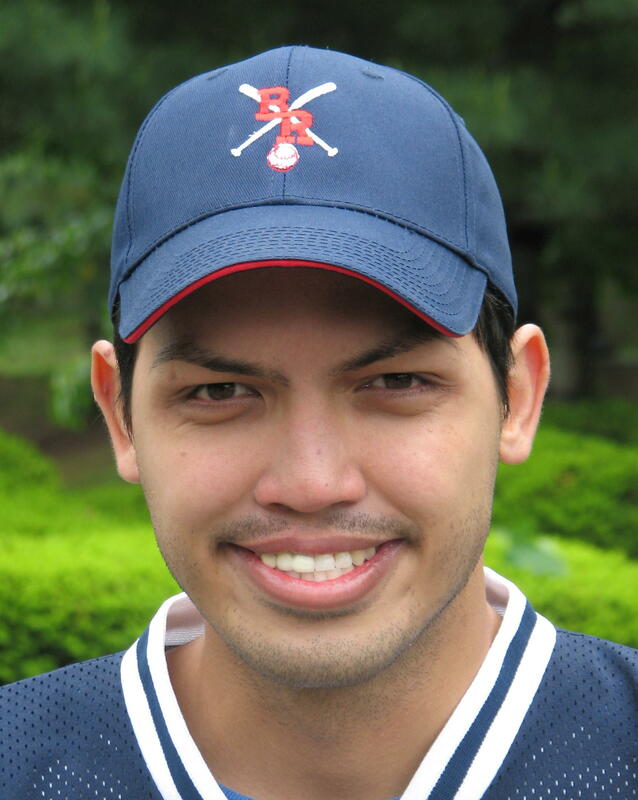 Fabricio is of Brazilian blood where Baseball is not popular but he brings a competitive spirt to the team. Fabricio is very active and into fitness and can be found working out with the guys on the field. He has also been helping out off the field with projects and fundraising during the afternoon when his baby daughter is sleeping. He came to the team when we needed to finish off some projects and he has been a big help willing to take the ball and run. We hope he sticks with it and learns more about the sport as he could become another valuable asset to the Renegade volunteer staff. 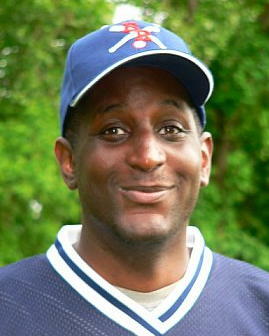 Myers was introduced to the game of beepball in 2000 as he was part of a sighted team asked to play the Lowell LAB Retrievers in a scrimmage game. He was one of the few sighted people to score a run in those contests. In 2004, Myers joined the coaching ranks to help Boston with their defensive skills. One important lesson he taught was the importance of wearing a protective cup as he accidentally hit a player three times before they made the all important purchase. Myers has a PHD in Physics which has been helpful off the field repairing bases, studying breakage in bats and developing defensive charts for the coaches to use to set up the team defense. Myers has not been able to be on field as much in recent years but has stayed involved helping to repair equipment and work with stats for the home games. Kara has been a Renegade follower for a few years and in 2013, joined the team. We have worked with her in the past as she has run some beep ball camps for kids at the Carroll Center for the Blind. Professionally she works with visually impaired kids from 3-22 years of age as a certified orientation and mobility specialist. We have hopes this partnership will help us reach/recruit kids and help them see what is available for them to play. 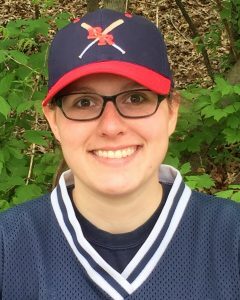 Kara brings a love of team sports, a competitive desire, knowledge of softball and a degree in Physical Education with a concentration in Motor Development Therapy to the Gades. We will put all of this to use to improve the team! 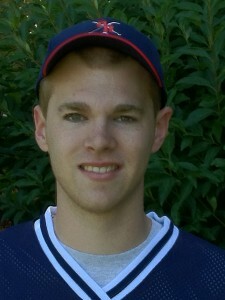 Aaron joined the Renegades half-way through the 2009 season. He spent the first half of the season observing the team before deciding he was interested in helping out. Aaron spent most of that season as the team’s umpire learning the ins and outs of the game. 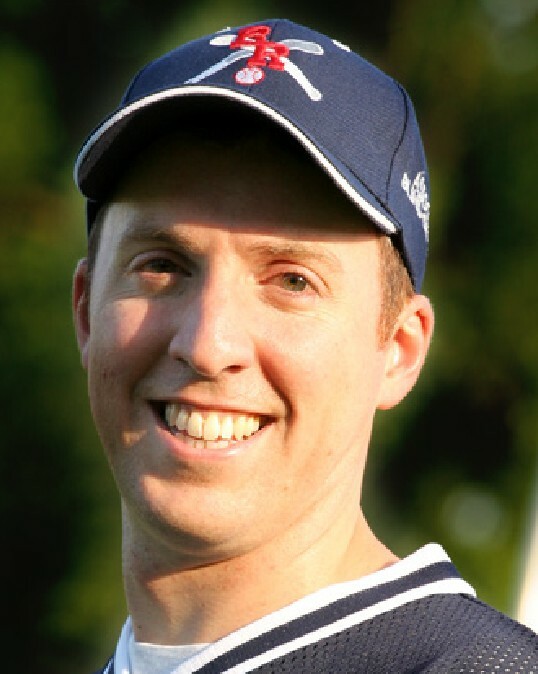 Beyond umpiring, Aaron has helped the team with a few off the field projects including helping us find ways to save money through grants and some ingenious out of the box thinking. He also has helped create marketing material for our fans. Aaron was with the team in a small capacity in 2016 but has planned to return in 2017 as more of a full time presence. This 16 year old found out about the Renegades in 2014 when he stopped one of our players on the street out of pure curiosity how a guy with a walking cane could be wearing a uniform and holding a bat. A year later, he remembered this and reached out to us to ask if he could help out. 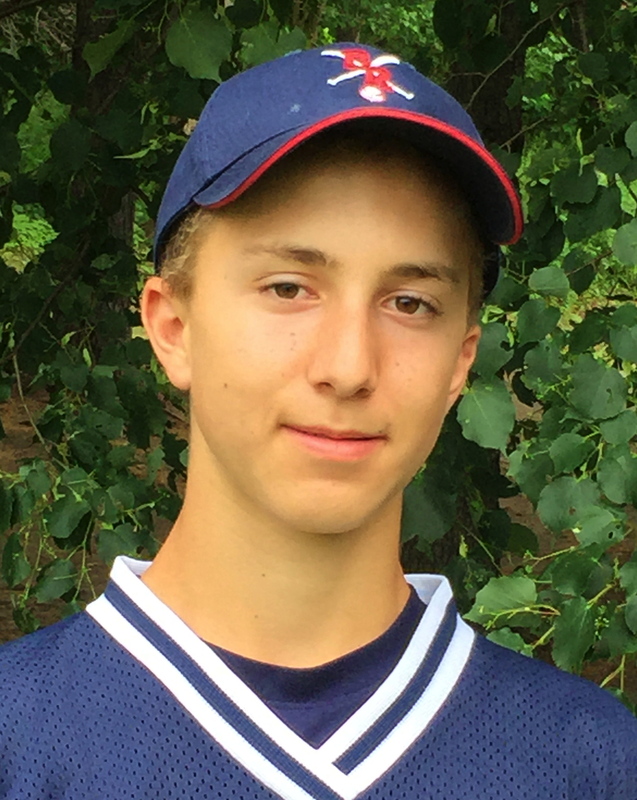 Now in his Junior year of High School, Lucas juggles his Varsity baseball at Weston High with homework and volunteer work. In the 2016 season he has stepped up and is leading our offensive work outs teaching many of the guys mechanics, reviewing film and bringing his trained eye to help our hitters. Teigan is the the left handed half of the twins. He is actually a great left handed catcher in baseball…but if he does not bring his glove..we have to give him other duties. Teigan has an interest in film..so he has helped the team record practices on video which we use to break down players swings. He also helps out on defense and base running. When the twins started they were smaller than all of the players. Entering the 2015 season they are taller than most of the players and have been able to play a bigger role in helping coach the Renegade hitters. Teigan has been helpful in teaching players about their swings.